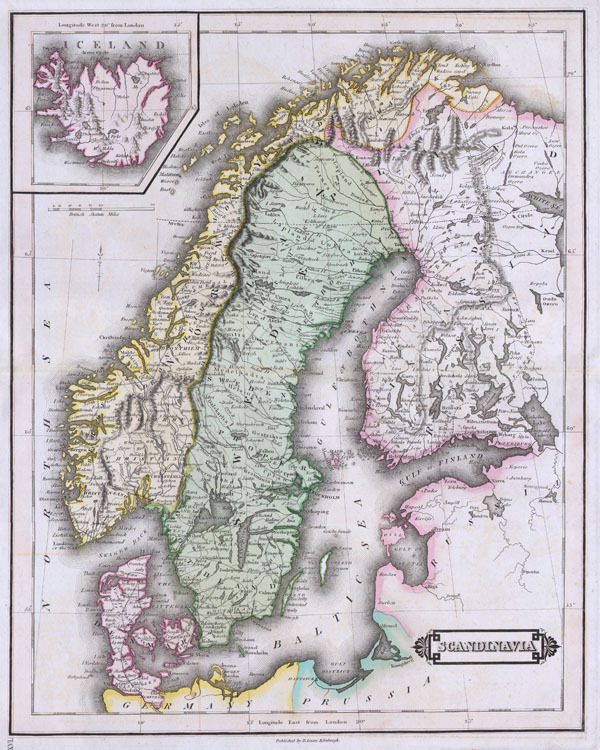 This beautiful hand colored map of Scandinavia was produced by Daniel Lizars in 1840. Depicts the whole of Scandinavia including Norway, Sweden, Finland and Denmark. Inset of Iceland in the upper left corner. One of the finest maps of Scandinavia to appear in the mid 19th century. Undated. Fine or perfect condition. Some minor transference. Good margins. Original platemark visible. Blank on verso.